Dr. Frank J. Criado, M.D. serves as the Chief of Vascular Surgery and Chairman of Vascular Surgery at Union Memorial Hospital, Baltimore. Dr. Criado serves as a Member of Scientific & Medical Advisory Board of CardioMEMS, Inc. He serves as a Member of Scientific Advisory Board of LeMaitre Vascular, Inc. 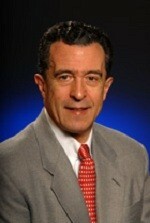 He serves as a Member of Advisory Board of Palmaz Scientific Inc. Mr. Criado serves as a Director of the Center for Vascular Intervention, Non-invasive Vascular Laboratory and Vascular Research at Union Memorial Hospital-MedStar Health in Baltimore, Maryland, where he established the endovascular program in 1988. He is a board-certified vascular surgeon. He is a founding member and secretary of the International Society of Endovascular Specialists (ISES), a fellow of the American College of Surgeons (FACS), and a member of all major U.S. and international vascular societies.